Just over a day to run of the on-line marine auction being run by Graham Cockle Consultancy. Among the classic dinghies on offer, the International 14 Prince of Wales Trophy winner #1106 Harrier, a Bruce Kirby design from 1979 has a price of £250 against her. While another POW winner, the much older Lightning #290, an Uffa Fox design/build has yet to attract any interest. At the other end of the scale, Prince Madoc, an Alan Pape designed 55ft Steel two mast motor yacht has currently attracted bids of £6,000. 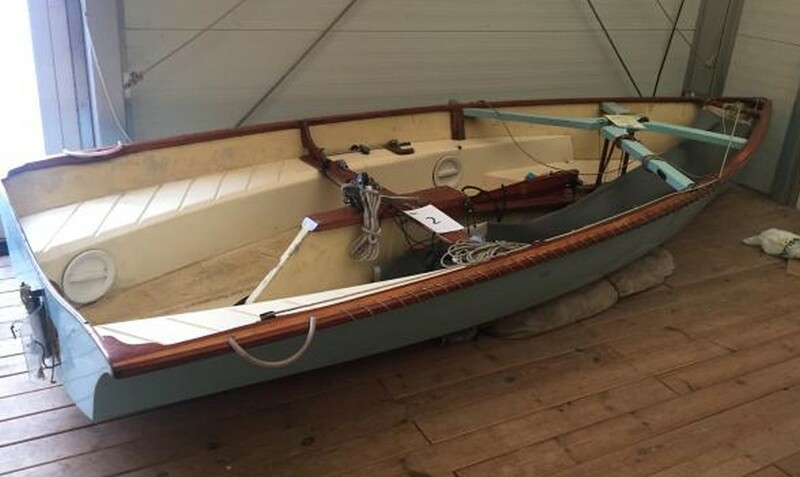 Among the dinghy and marine equipment on offer is an early Finn class dinghy K88, built by Fairey Marine, an early a Merlin Rocket (#457) of clinker/rib construction, an 11 Plus dinghy, built by Dobson of Derby and a Firefly dinghy project, complete with mast and sails. The on-line marine auction being run by Graham Cockle Consultancy closes on the 26 January 2019.